Voice For Horses Rescue Network (VFHRN) is an Ohio 501 (c) 3 Non-profit Humane Corporation organized in November of 1999 for the purpose of providing food, water, shelter and veterinary care to horses that are: sick, injured, abandoned, abused, neglected, slaughter bound or when an owner can no longer care or keep them. 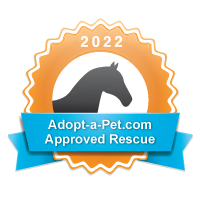 We also network with other equine rescues across the 50 states, local humane societies, law enforcement, therapeutic riding centers and horse clubs with the placement of horses. We receive no government, city or united way money. 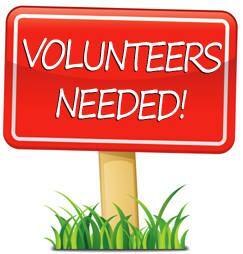 We are an all volunteer organization that is funded solely by the caring and generous public. VFHRN assists with cruelty investigations in cooperation with local humane societies and law enforcement officials. Our goal is to help as many equine as possible, by alleviating equine abuse and neglect through awareness. VFHRN understands the need to avoid becoming overextended as well as the need to be able to properly maintain and care for all equine already in our care. We will help any horse in need if our funding and barn space will allow. Adopted equine who need to be returned due to circumstances with the family will ALWAYS take precedence over others due to our mandatory return policy. FREE T-shirt to volunteers who volunteer 40 hours a month. Purchase an Ohio's Horses license plate and help equines in need! When you choose to purchase the Equine (Ohio’s Horses) license plate, you will be helping with the growing challenge of unwanted horses in Ohio. The Ohio Coalition for Animals will make a significant impact by funding educational, charitable, and other programs that provide care for unwanted, abused, or neglected horses. A portion of the fees collected, $20.00, will benefit horses in need around the state; including horses coming off the race tracks and those that are abandoned, abused or neglected. Funds will also be used for owner education and scholarships. To apply for grants visit www.ohioshorses.com. By purchasing the Ohio's Horses license plate, your support will help us make a difference in Ohio. ​By choosing to purchase the Equine (Ohio’s Horses) license plate, customers will be helping with the growing challenge of unwanted horses in Ohio. A portion of the fees collected, $20.00, will benefit horses in need around the state; including horses coming off the race tracks and those that are abandoned, abused or neglected. Funds will also be used for owner education and scholarships. To apply for grants visit www.ohioshorses.com. Registrant Eligibility May be issued to any Ohio motorist.